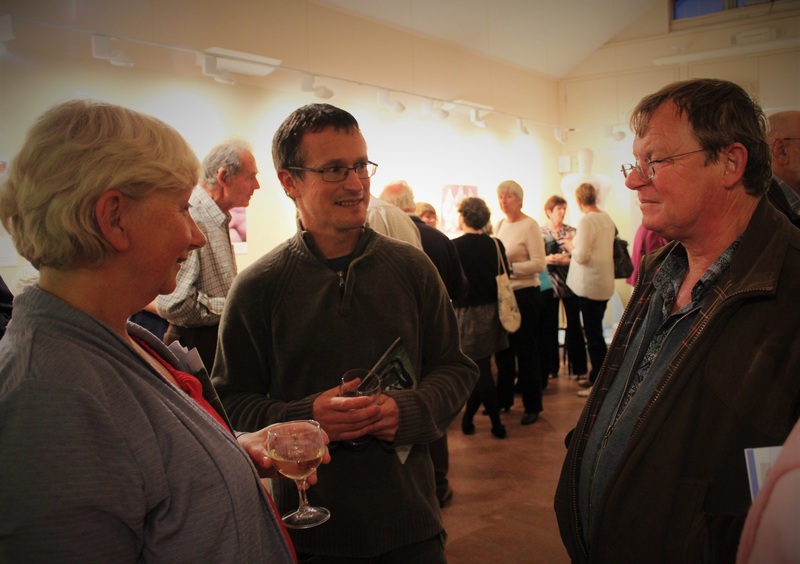 22nd September 2015: We held an End of Project Party last Tuesday, generously hosted by the Sussex Archaeological Society’s Marlipins Museum in Shoreham. As our exhibition is currently up at Marlipins it was the ideal venue for a wrap party. We were joined by our volunteers, supporting partners, such as Jason Lee from Worthing College and Justin Russell from Archaeology South-East, private and family collectors and many more of the great people who have helped make this project a success. 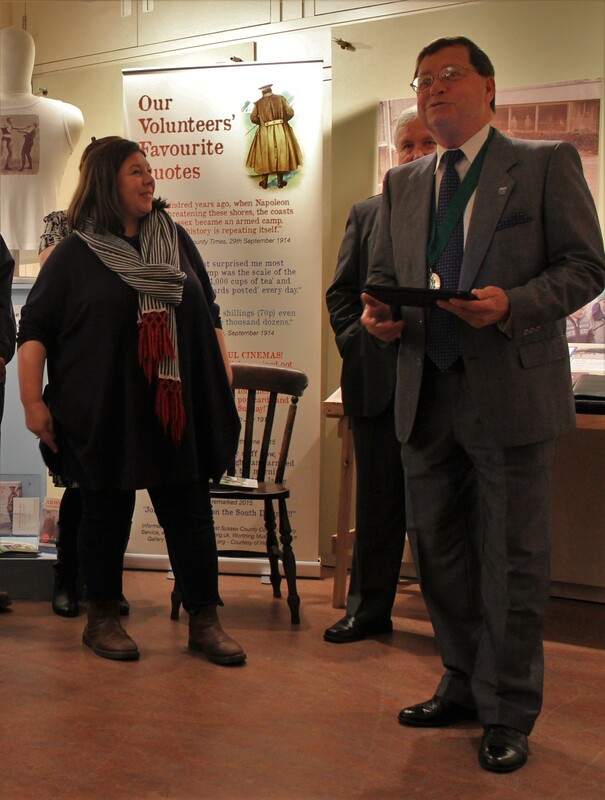 Emma O’Connor, Sussex Archaeological Society’s Museum Officer and Chairman Carson Albury, delivering thank you speeches. Carson Albury, Chairman of Adur and Michael Donin, Mayor of Worthing kindly joined us and delivered excellent speeches. 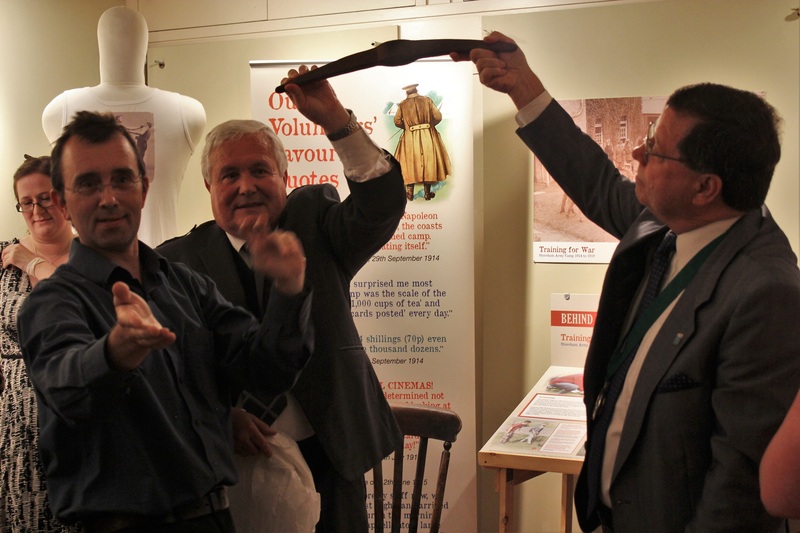 Worthing Mayor Michael Donin and Chairman of Adur Carson Albury holding up our latest find, a 1918 pick head found on Slonk Hil, presented by Worthing Museum, Curator Hamish MacGillivray. And Caroline George from the Heritage Lottery Fund also popped in to see how we had got on. 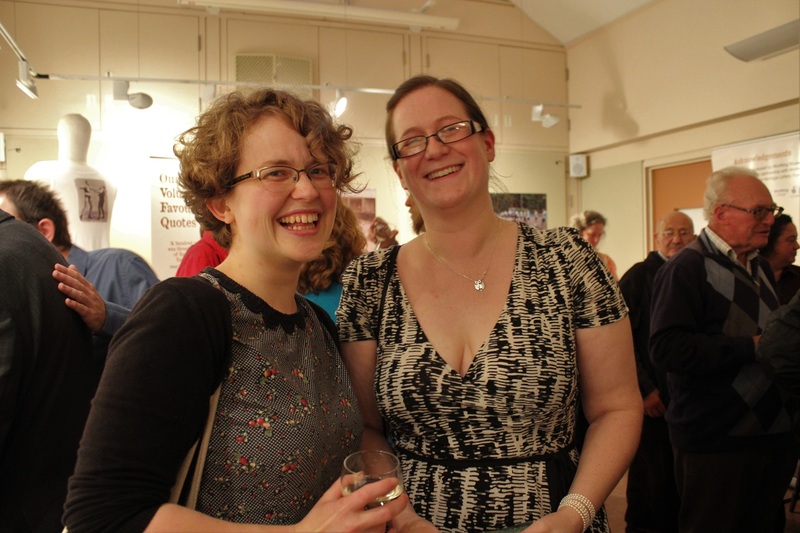 Caroline George (left) from the Heritage Lottery Fund and Gail Mackintosh, Project Coordinator. It was a great event thanks to the volunteers and staff at Marlipins Museum and gave us the opportunity to thank everyone involved. Archaeologist Justin Russell (middle) talks to local landowners, Christina and Rob Keith. The project is now at a close but we have left some important legacies for the future. The exhibition will remain up in Marlipins Museum, Shoreham, until 3rd October. The display panels will then be used as part of our ongoing schools education programme at Worthing Museum http://www.worthingmuseum.co.uk/education/ . We have created a final publication – a ‘Behind the Scenes’ Booklet showing all our work along the way. Copies of the booklet will be available at Worthing Museum, Marlipins Museum and around the local libraries. The many objects loaned to the project will be returned to their owners but Marlipins Museum would be happy to take in any more collections relating to the Army Camp in the future. So, it is goodbye for now, we hope you’ve enjoyed it as much as we have.